Experience some of the best outdoor adventures in Western Australia on this fun day trip from Perth. Sandboard down enormous dunes—if you dare! 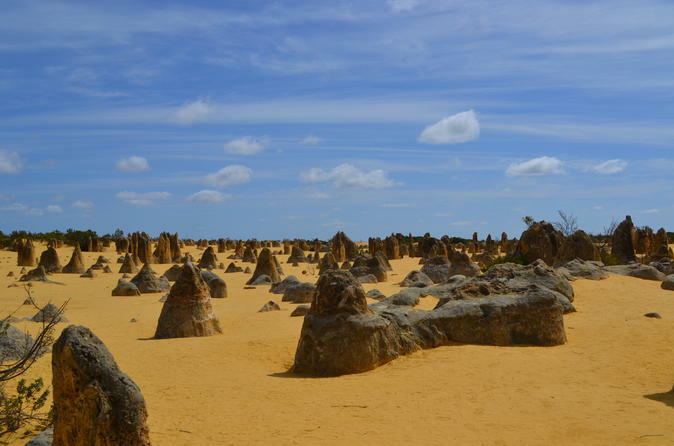 Be amazed by nature’s beauty at the Yanchep National Park and Pinnacles Desert. Enjoy a delicious seafood lunch, and learn about lobster sorting and packing. This is an easy way to fit a variety of activities into a convenient day trip, plus the whole family will love it.